An Egyptian Coptic leader says the government has “appeased” his community by sentencing to death a Muslim who murdered six Copts last year in a drive-by shooting. Tensions between the Coptic community and Egyptian Muslims reached the breaking point earlier this month when a bomb attack killed 22 people outside a Coptic church during a midnight mass service for the Coptic new year. More violence last week resulted in the killing of a Christian by an off-duty Muslim policeman, although Egypt claims religion was not behind the murder. Last week, more than 1,000 Egyptian policemen in riot gear battled hundreds of Christian protesters, some of whom were seen being dragged away by authorities. 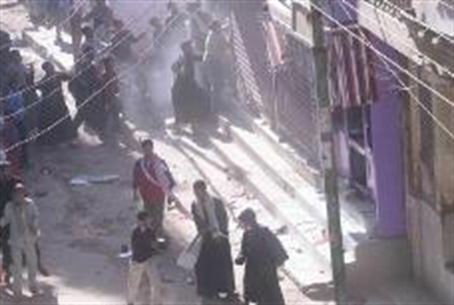 Injuries were reported among the police and the protesters. In a public display to calm tensions, thousands of Muslim acted as “human shields” the following night to protect Copts at a mass service celebrating their Christmas.